Emma from St Peters school bought Scandinavian Dungarees. Proof that learning can be fun! Having just received the dungarees the children in the Forest School group were exploring the woods. They found a 'secret den' amongst the twisted trunks of a clump of laurel bushes. They could not resist the branches and straight away they began a game of playing at being monkeys jumping in the branches. This lasted for about 20 mins - was very noisy, and thoroughly enjoyable for everyone concerned!! 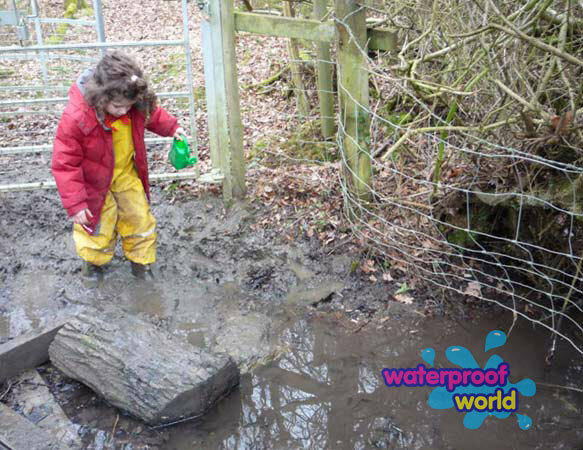 (they even learnt that wet branches were slippery and you couldn't climb them and small branches snapped off if you stood on them, fortunately in the fun of it all no-one was really hurt!). Thanks again for the dungarees. They are fantastic! 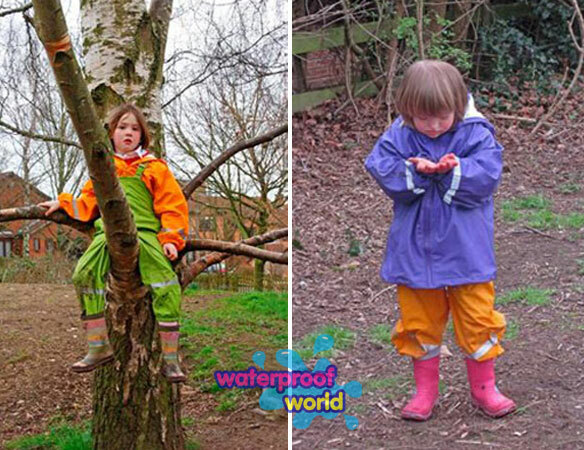 The children absolutely love wearing them and it has made our Forest School sessions so much easier, both getting ready, as they each now know which colour (size) they wear and knowing that they will not have to worry about getting wet clothing. The fabric seems remarkably strong and has so far stood up to climbing trees and scrambling about in the woods! Thank you as well for the speed of service. They arrived Monday morning after a Friday order - brilliant, which meant they could wear them when a visiting assessor came to inspect our Forest School session - they were very impressed. thank - you again. Thank you. 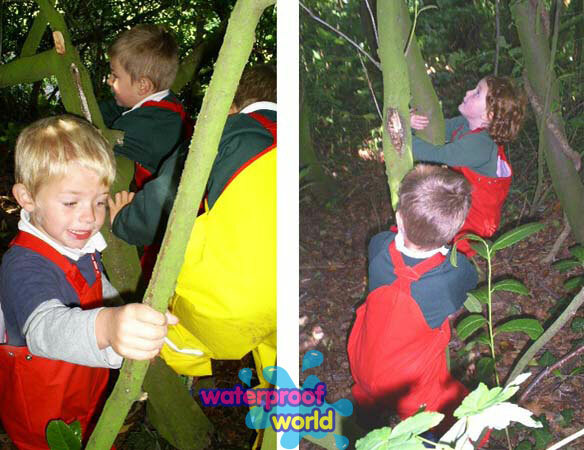 Great waterproofs already tested in the Botanical gardens on Tuesday in torrential rain and forest school on Wednesday. Thank you so much for your help with pushing this order through quickly, it has been a pleasure dealing with you. I have received the order this morning. I am delighted with the quality of the product. Thank you for you efficient service. 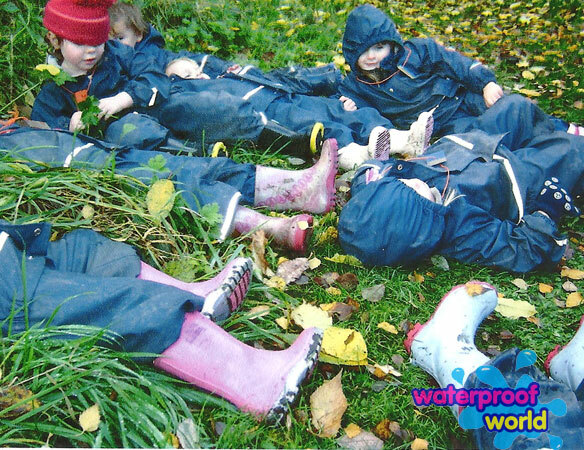 Scallywags Nursery Nursery leader Karen sent us this fabulous photo of the Scallywags children out on a forest trip. Looks like lots of fun! Whitchurch Infant School We love these photos sent to us from Whitchurch Infants. 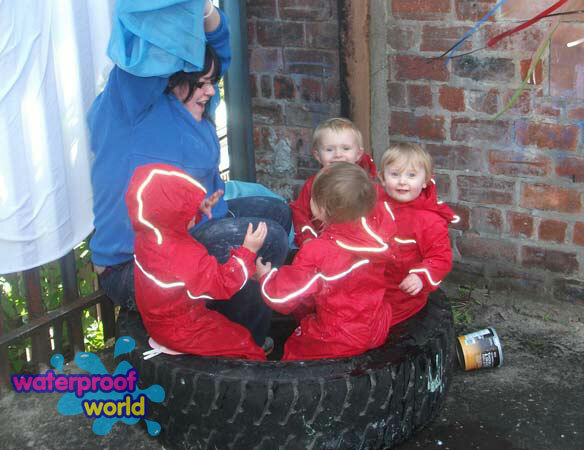 Their Ocean suits look great with all the mixing and matching - and the kids are clearly having so much fun. 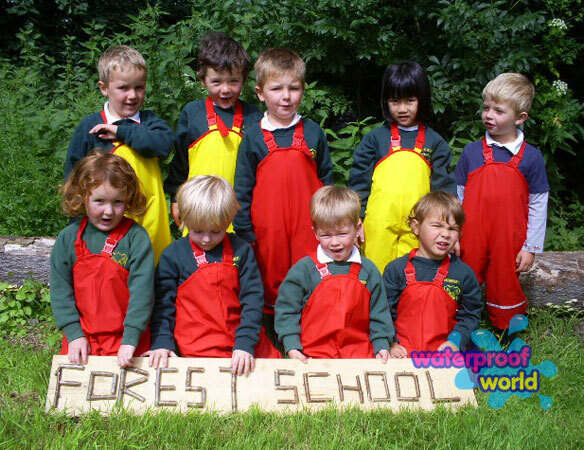 Whitchurch Infant School Two years after buying these suits, the forest school teacher phoned for more in bigger sizes. 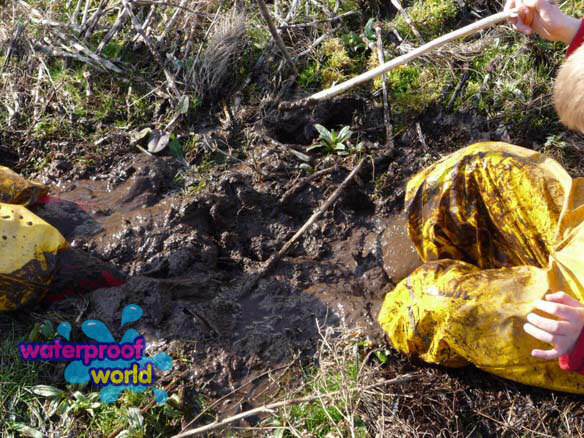 She commented that the suits had been fantastic and were still going strong - with 120 muddy outings like these per week! 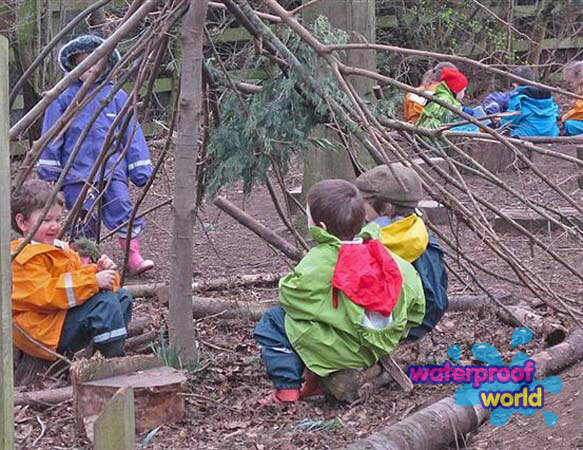 Whitchurch Infant School More photos from forest school, using the first set of Ocean Waterproofs we supplied. Whitchurch infants have returned for more, with very positive feedback on the robustness of their original set. 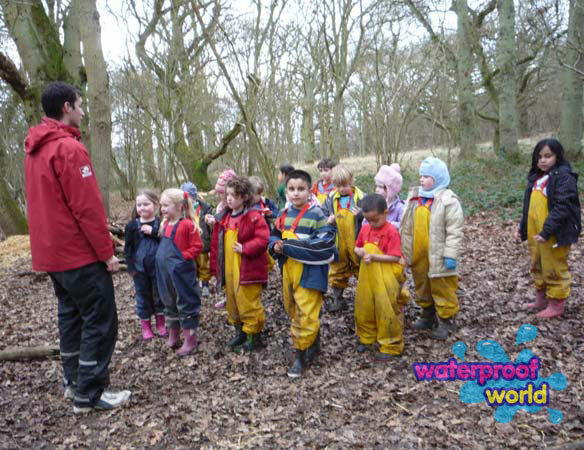 Whitchurch Infant School Den building for forest school, wearing Ocean Suits. 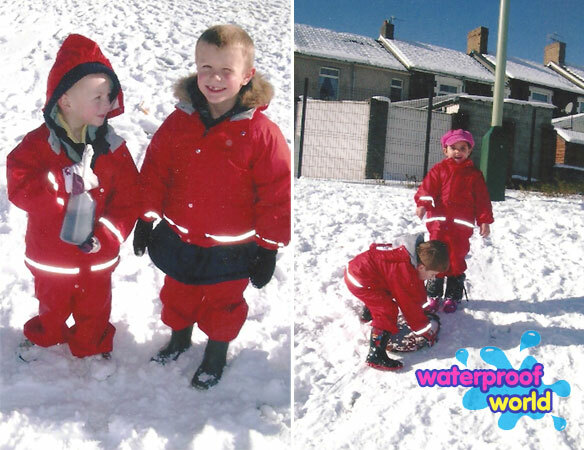 Whitchurch Infant School Mix and match top and bottoms, Scandinavian suits from Ocean; perfect for Forest School. Whitchurch Infant School Forest School camp fire. Marlborough Primary School Keeps Wales Tidy Pupils and staff from Marlborough Primary School took part in 'Tidy Wales Week'. 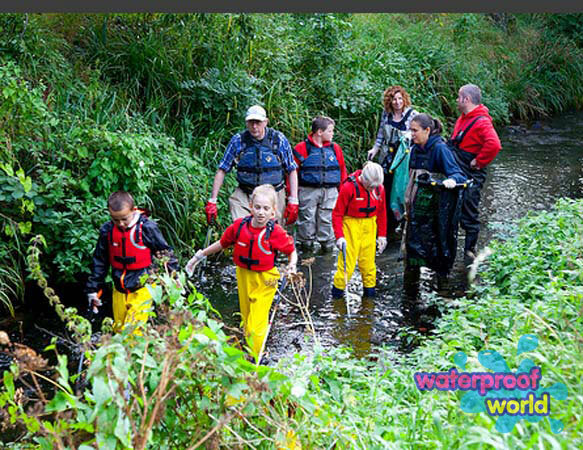 The aim was to tidy a patch of Roath Brook, & our Waterproof Waders proved just the job for the task. 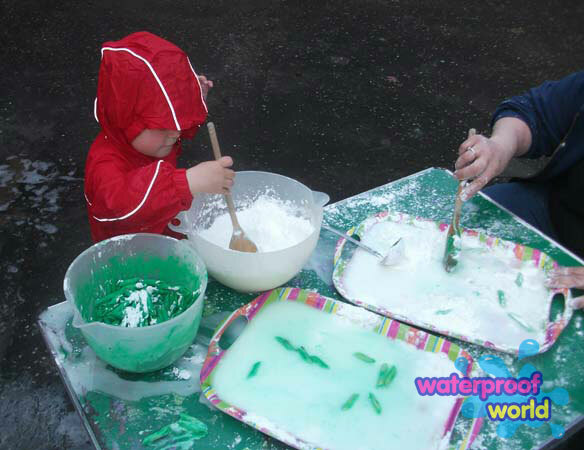 Messy Play at Margerets Nursery Lots of opportunities to make a mess in Regatta Puddle suit at Margaret's Nursery! The Water Lily Children Kate sent us this fantastic collage of her charges charges playing outdoors in Regatta Suits and told us 'The suits have been a god send, a suit for all seasons. 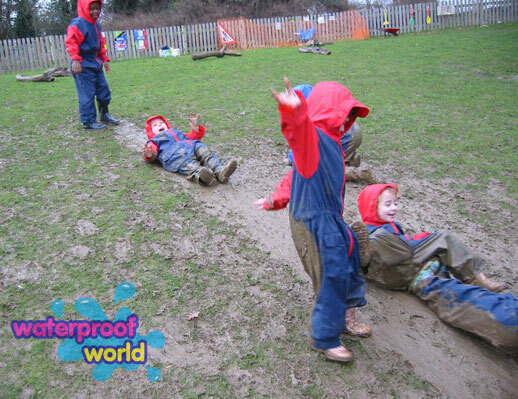 We have spent many a rainy, blustery day playing in the park, keeping nice and dry!' . West Oxford Primary School Forest School Leader, Athene from West Oxford Primary School sent us these fantastic photos of their forest school sessions. 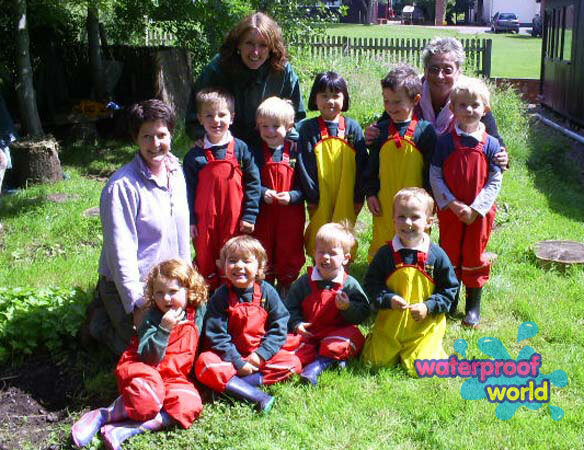 The school buys Scandinavian dungarees from Waterproof World whenever funds are available. 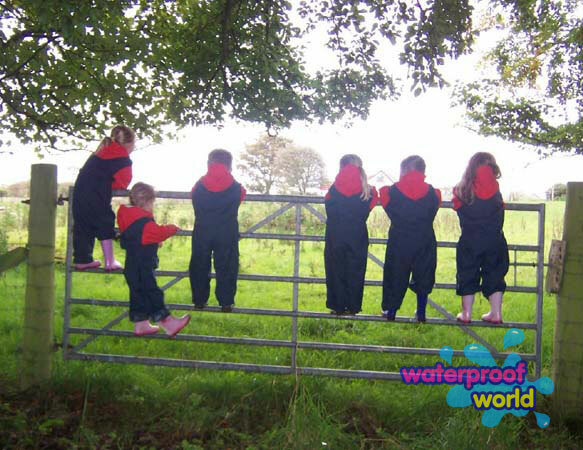 West Oxford Primary School Forest school leader Athene told us 'we are buying these dungarees to make Forest School available to as many children as we can, and we have found that providing dungarees makes a huge difference for many of the families'. 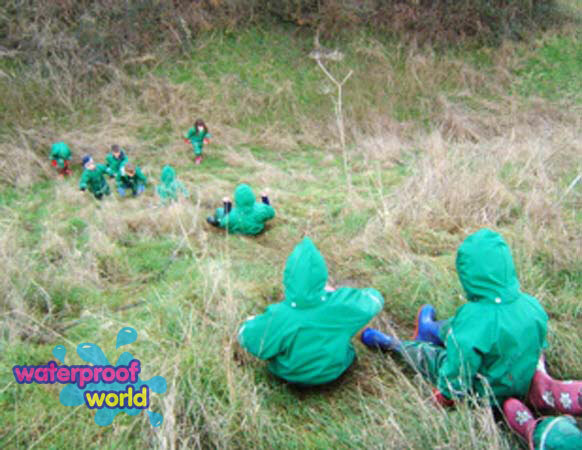 West Oxford Primary School Another great shot from West Oxford Primary forest school group. 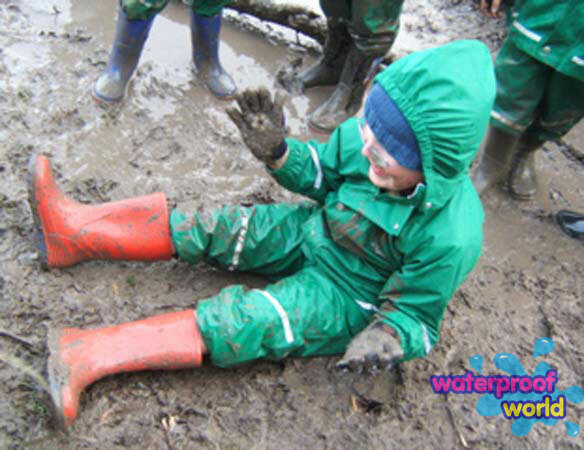 St Bernard's Primary School Nursery teacher Nicola told us 'C was so amazed when I told him he could even sit in the puddle if he wanted to!! He was indeed bone dry when he took the suit off. He was amazed... he said it was 'a magic suit!'. Ladygrove Primary School Doesn't this photo convey the fun to be had when you are really free to play outdoors!! 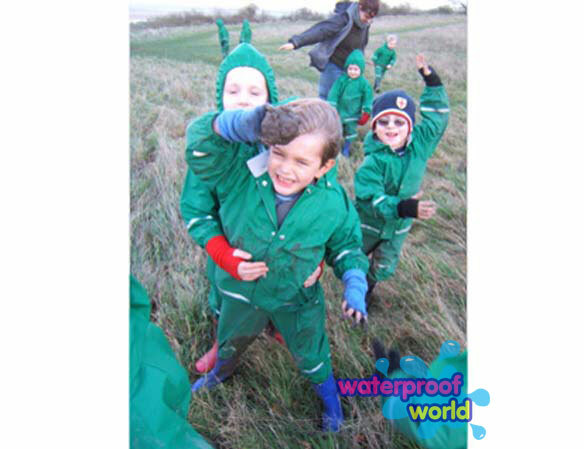 Ladygrove Primary School Ladygrover Primary bought Scandinavian 2 piece suits from us, and also Wristies (seen here) - which are great for keeping hands warm, whilst allowing full use of fingers; great for Forest School. We love Wristies! 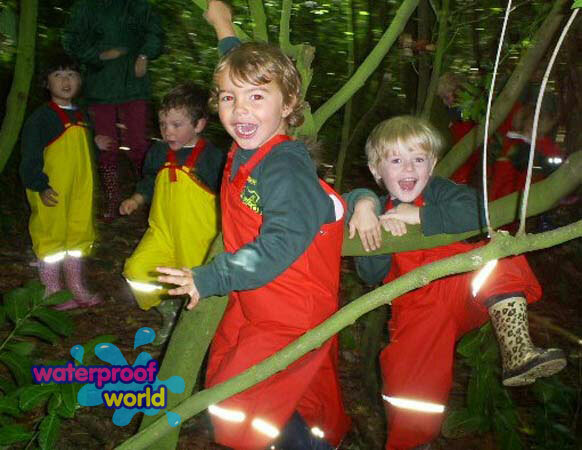 Karen's Nursery Outdoor fun at Karen's nursery in Regatta Puddle suits ! St Peter's Forest School Group Leader Emma went on 'The children absolutely love wearing them and it has made our Forest School sessions so much easier, both getting ready, as they each now know which colour (size) they wear and knowing that they will not have to worry about getting wet clothing'. St Peter's Forest School Group Forest School leader Emma added ' Thank you as well for the speed of service. They arrived Monday morning after a Friday order - brilliant, which meant they could wear them when a visiting assessor came to inspect our Forest School session - they were very impressed'. 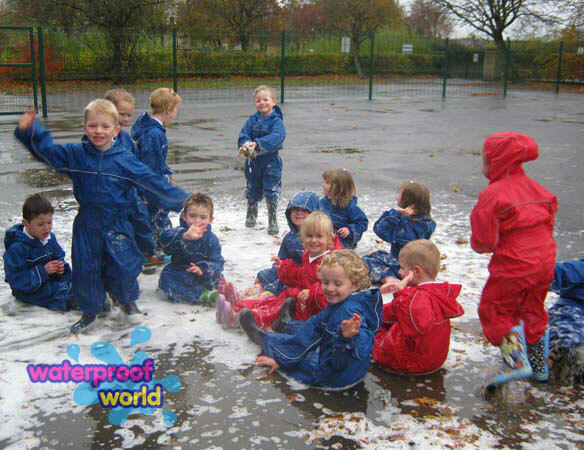 Puddleducks Pre-School A fantastic picture of some Puddleducks relaxing in their Scandinavian 2 piece suits! 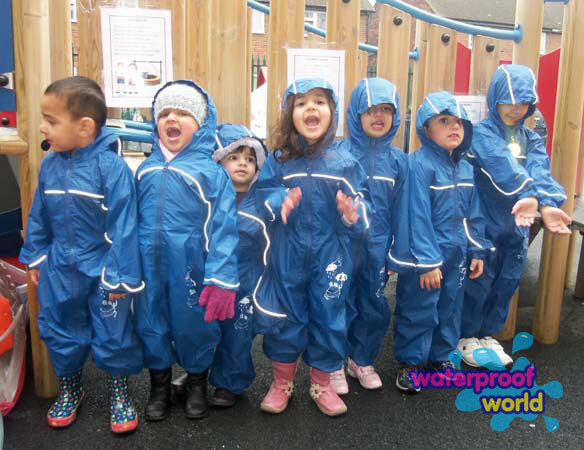 Over the years, Waterproof World has supplied many schools and nurseries with clothing for outdoor play. 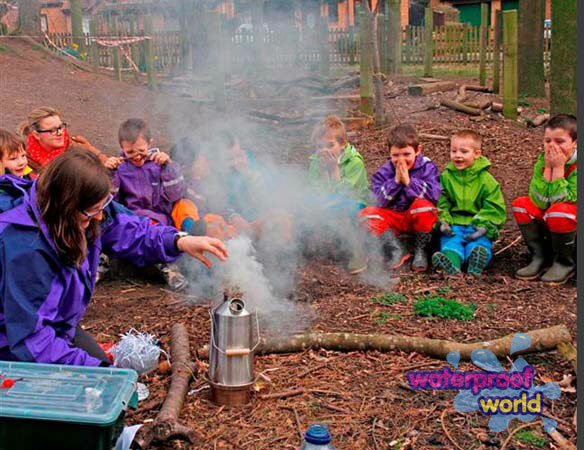 Our products go down so well, that we regularly see repeat business; with schools coming back again and again, to buy for different year groups, as the enthusiasm for outdoor learning spreads. The Ocean 2 piece suits look great, and they don’t appear to be that different from the Kiba suits. We have certainly had our use out of them!!! Now we have babies, we so want them to enjoy the outdoors as much as our older children do. 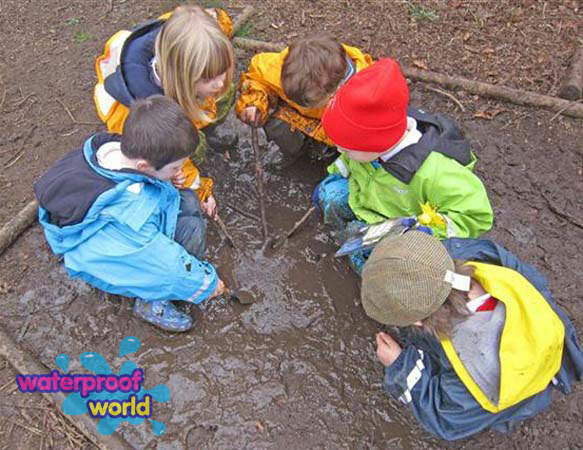 We couldn’t live without our waterproofs!!! Just a quick email to say everything has been received today and I am so impressed with the quality – far superior than we have bought before – we will be replacing other items as they wear out, with yours ! 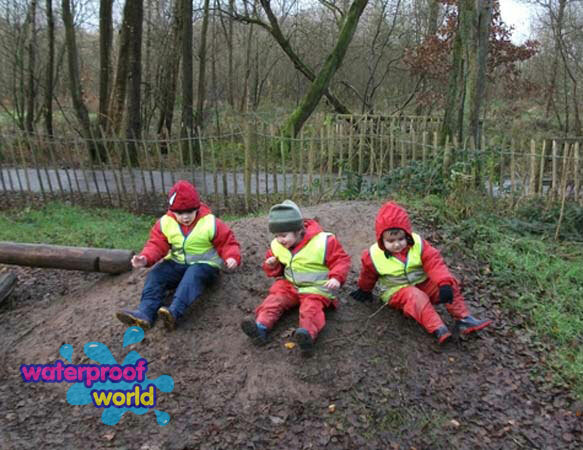 [followed later by] Just to let you know that all the waterproofs have now been worn and we are so impressed ! We went out with another school that bought theirs from you nearly 10 years ago, and they are still going strong !! 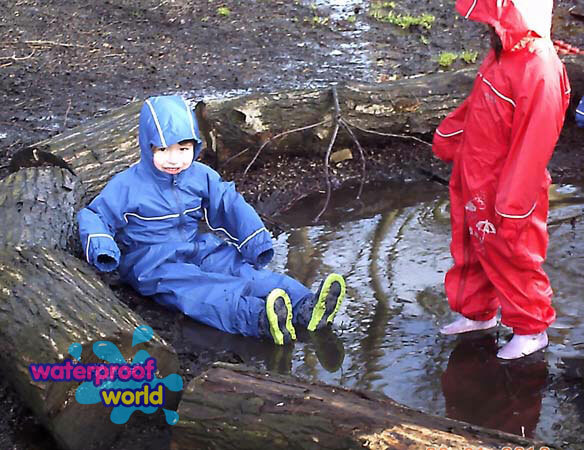 We like the waterproofs we buy from you because they are genuinely waterproof. The welded seams and waterproof material work much better than your average proofed nylon/taped seams garment. We are in the Lake District and enjoy the outdoors. We need our waterproofs to work. As my staff let you know yesterday we are keen to stick with the quality we know and now we have different colours for different age groups/ sizes of children. Thanks for your help once again. 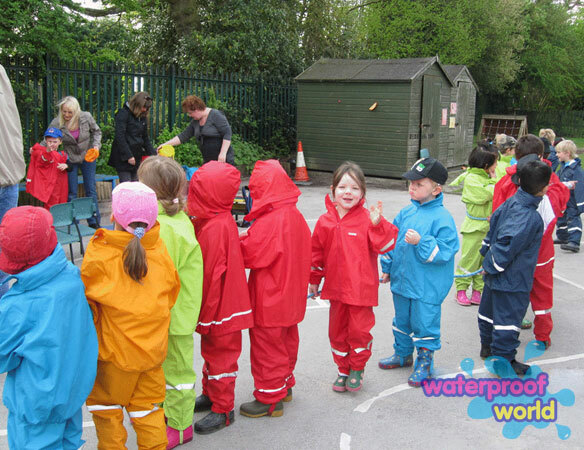 I am just enquiring about the wet weather suits for my toddlers at my nursery setting. We previously purchased a big order back in 2009 and they have been a great success. I wanted to know if you do still do the suits and of any changes they have occurred over the years. Thank you. 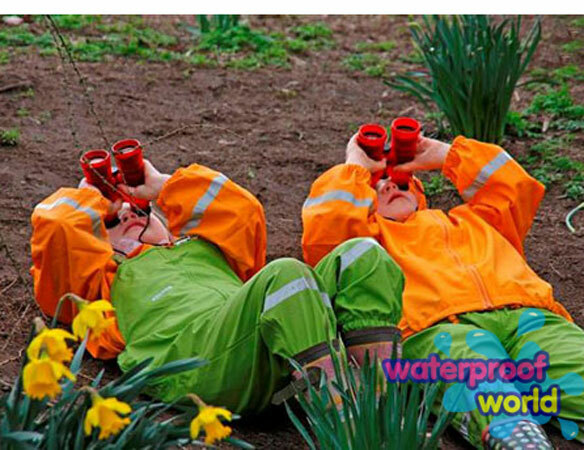 The waterproofs arrived last Friday and will be in action after Easter. I have lots of photos so will try to organise and send you some. We use them a lot for Forest School. They are hard wearing and really easy to use and wash up really well. The children like them because they look like fire fighters!!!! I own an outdoor children's nursery in Scotland. 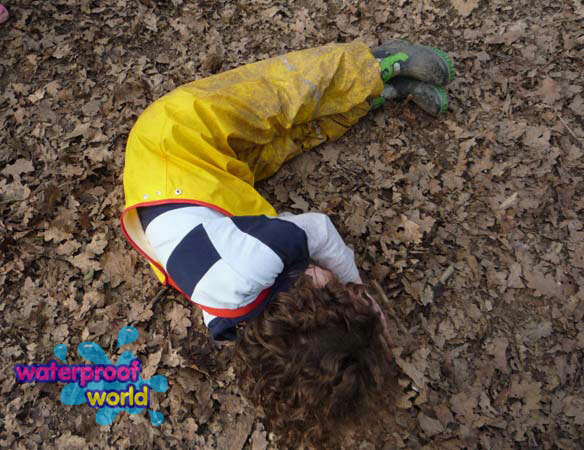 As our children spend the majority of their time outdoors in woodland spaces they need to be attired appropriately. 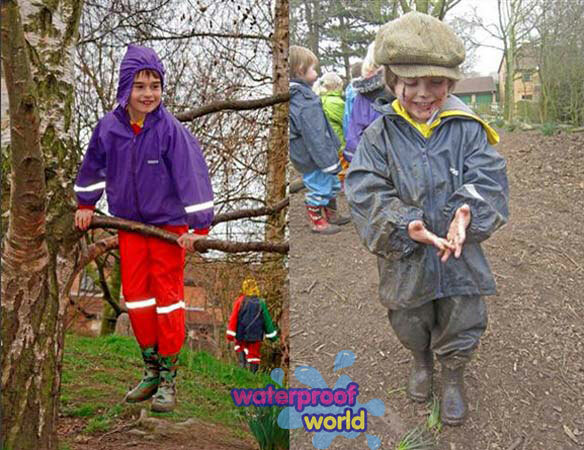 Over the last 3 years we have seen children dressed in a variety of different waterproofs and we have found for the wet Scottish climate that those who stay driest are the children who wear your waders. The suits are wonderful! 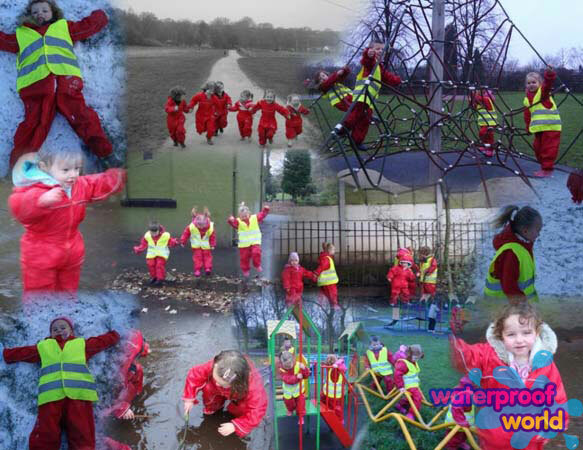 The children love them and they love going outside to play and learn in all sorts of weather. We had an inspection three weeks ago and midway though that week we had a heavy fall of snow. We abandoned our planned activities, put on the suits and went out to play! We are now ordering more suits for our year 1 and year 2 classes.